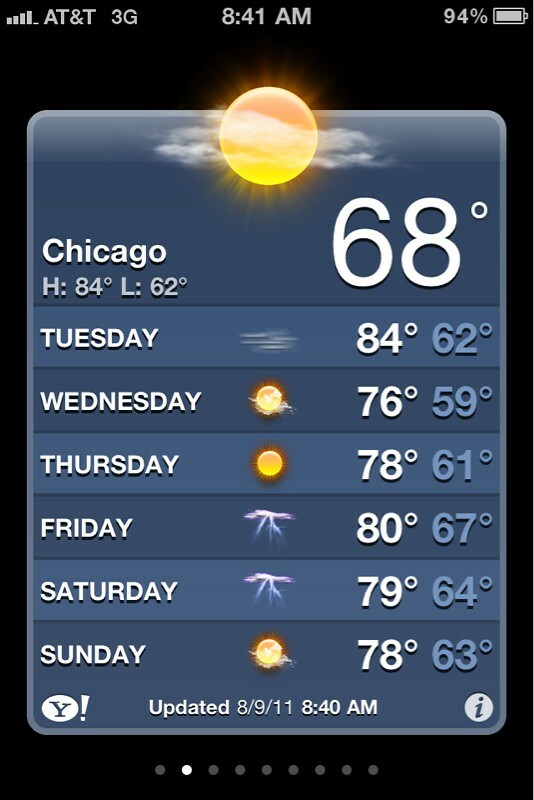 Yeah, it's that beautiful here in Chicagoland today. 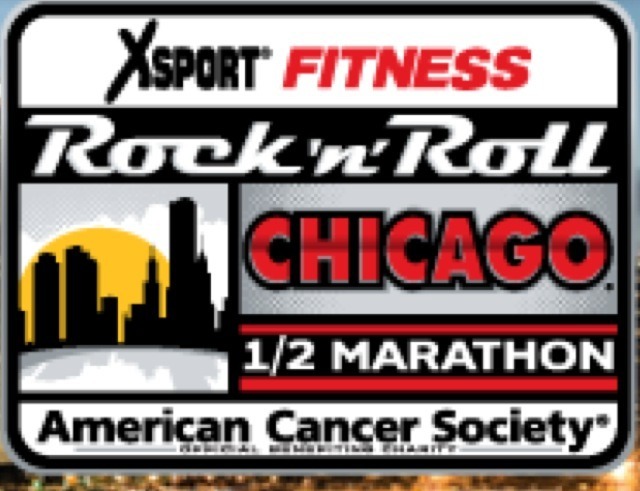 With the rock n roll Chicago half coming up on Sunday, it seems as if my prayers and offerings to the cool weather gods were partly answered. 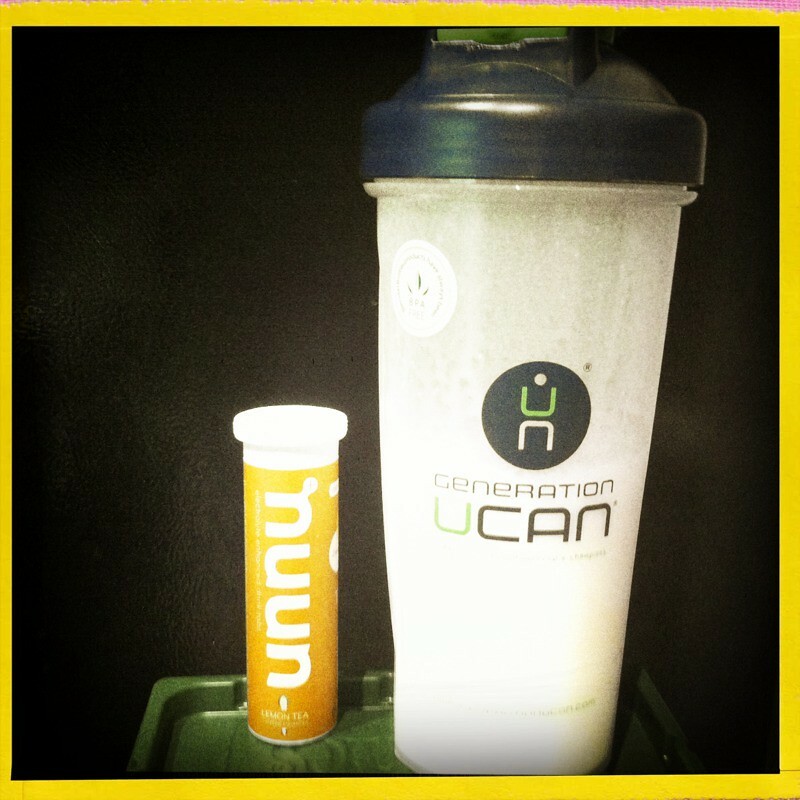 I also got my orders of Nuun and Gen UCan. The vanilla Gen UCan recovery was nice after my 8 mile effort. I drank lemon tea flavored Nuun during my run. It was delicious! It tasted like nestea but not as sugary or syrupy. I cannot wait to try grape, and especially strawberry lemonade. I'm also looking forward to trying out the Gen UCan pre workout drinks. They have carbs in them that will fuel you for 2+ hours if you drink them 30-45 minutes before a workout. I'm not digging pasta right now, so if this works, it will be awesome to be able to avoid pre race carb loading! 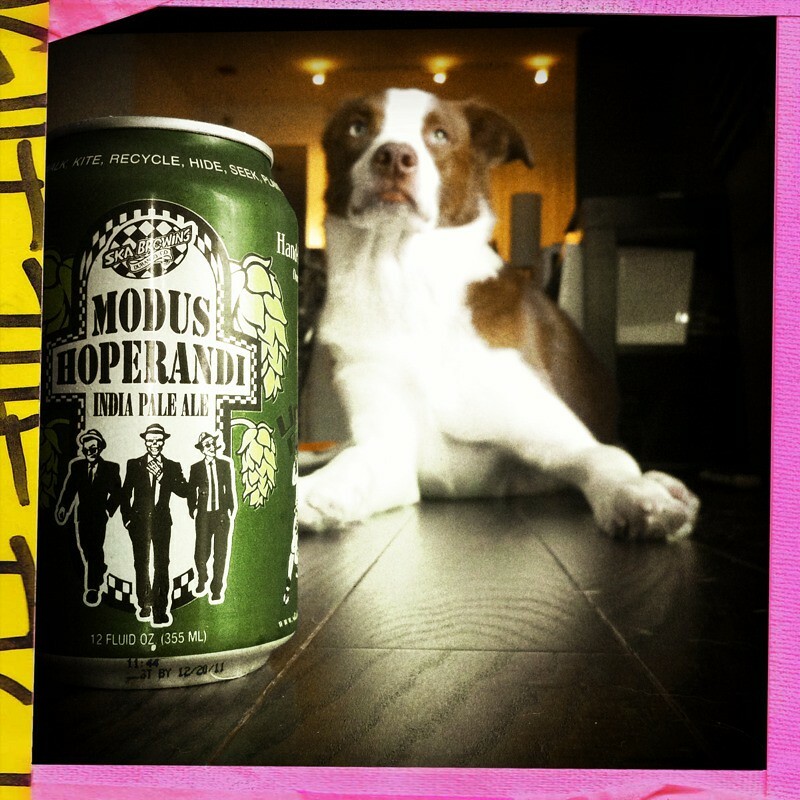 Cb wants to model for beer commercials, so he had me take his photo. Kid needs a job, but I don't think his idea will pan out. 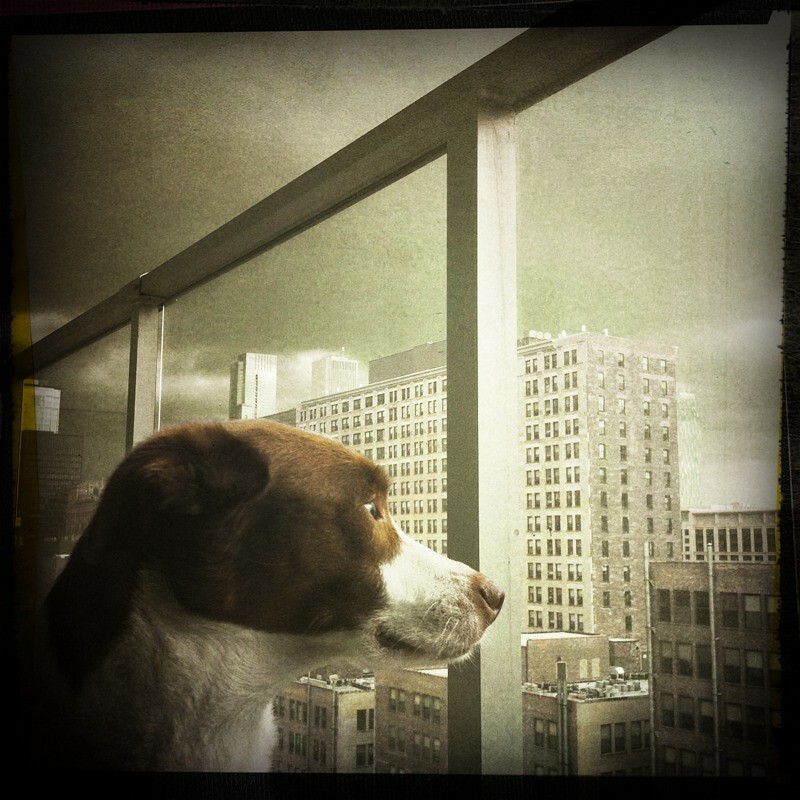 He likes watching storms when there isn't any lightning or thunder. Perhaps He should just stick to being a house pet who runs sometimes and barks a lot. What are you looking forward to this week? Anybody racing this weekend? Have a great race this weekend! I will be cheering you on from Colorado Springs! You are going to ROCK it! I will be cheering you on and wishing I could be there, too! I cannot get enough of that dog of yours!! Ohhhh, so cute!! Great job on that 8 miler. Your pace was AWESOME!! I look forward to hearing about the strawberry lemonade nuun review! Good luck on the race! Oh my goodness, cb melts my heart. He would be perfect for a beer commercial. Sounds like the time you took to nurse you calf did your legs some good! I'm praying for beautiful weather for you on Sunday. Good luck on Sunday! You're coming to the meet up after the race, right?